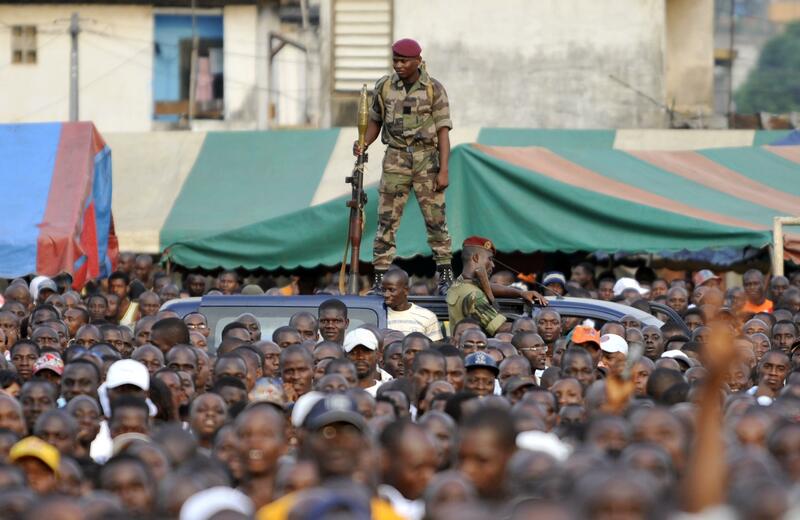 The ethnic and economic tensions that prompted Ivory Coast's deadly civil war five years ago are flaring up again as the West African nation prepares to hold its first presidential election Sunday since the violence that left 3,000 dead and displaced 500,000 others. President Alassane Ouattara is all but expected to win a second term after overseeing an economic revival that has fueled investment in infrastructure and foreign trade. But the threat of post-poll violence looms amid growing complaints of inequality. "The vote will be a major test of the capacity of Côte d’Ivoire [French for Ivory Coast], which has a long history of election-related violence, to hold peaceful and democratic elections," Jim Wormington, a researcher with Human Rights Watch's Africa Division in Washington, D.C., wrote in a recent report. Whoever wins must spread the country's recent economic wealth beyond urban areas and rebuild Ivory Coast, the world's top cocoa grower, as an inclusive and united state to avoid another deadly war, experts said. Below is our guide to what's at stake in Sunday's presidential election. There are eight presidential candidates, including two women, in Sunday's poll. Ouattara, who is running for a second five-year term, is widely considered the political heavyweight. His family ties cross into neighboring Burkina Faso and he was barred from participating in the 2000 presidential race because of his so-called foreign origins. 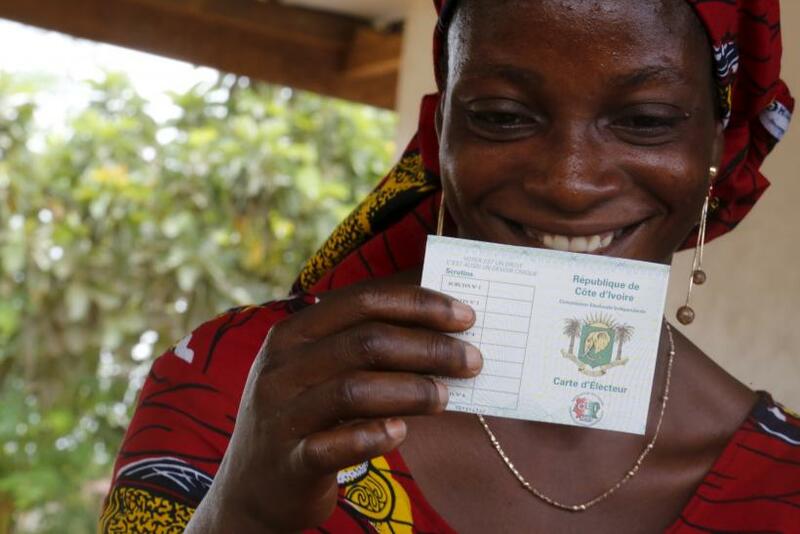 A constitutional mandate in Ivory Coast requires a presidential candidate’s parents both be Ivorian. Ouattara, who was born in central Ivory Coast, was eventually deemed qualified to run in the 2010 presidential election and his victory against then-President Laurent Gbagbo sparked the Second Ivorian Civil War, which killed more than 3,000 people and dealt a serious blow to the country's economy. If he wins a second term, Ouattara has pledged to reform the constitution to remove the controversial nationality clause. Ouattara's main challenger during Sunday's election is likely to be Pascal Affi N'Guessan, the leader of Gbagbo's center-left political party and Ivory Coast's only major opposition group, the Ivorian Popular Front. N'Guessan was jailed by Ouattara's government for two years in the wake of the Second Ivorian Civil War. He is accused of crimes against humanity for his role in the violence that followed the 2010 election and is awaiting trial before the International Criminal Court in The Hague. 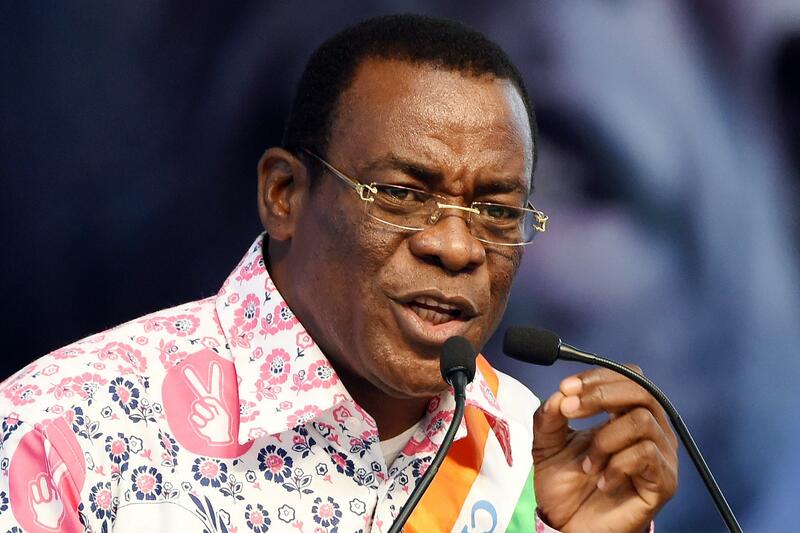 N'Guessan, 62, has held several government positions in Ivory Coast, including prime minister, industry and tourism minister, and mayor of the Ivorian town of Bongouanou. He has pledged to fight for the release of Gbagbo, who is detained and awaiting trial at the International Criminal Court for crimes against humanity. If he wins, N'Guessan has also vowed to heal the West African country's wounds from past conflicts and address economic inequality. He has accused Ouattara's government of supporting unequal economic progress, saying little wealth created by Ivory Coast's economic boom has benefited the most vulnerable populations. After more than a decade of political unrest that made Ivory Coast's economy shrink, the West African nation of 20 million people is enjoying a thriving economy and foreign investment flow. 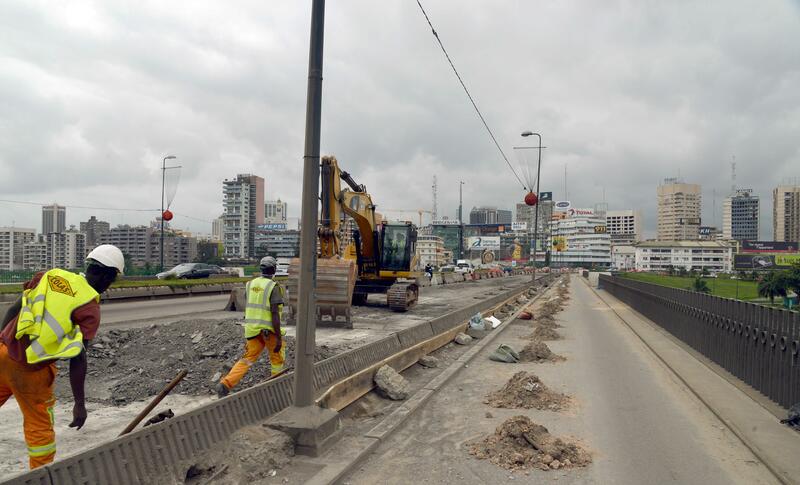 The country's budget minister said in September about a third of the 2016 budget will be spent on infrastructure, with new roads, bridges, apartment buildings and businesses going up in the capital city of Abidjan. A trained economist, Ouattara, 73, previously worked for the International Monetary Fund in Washington, D.C. and the Central Bank of West African States in Senegal. As president, he revamped the Ivorian economy by securing significant debt cancelation, investment and donor funding in support of infrastructure projects, and key economic sectors. He won the return of the African Development Bank’s headquarters, which were moved from Abidjan to the capital of Tunisia at the height of the First Ivorian Civil War in 2002. The International Monetary Fund expects a remarkable GDP growth of 8.4 percent in Ivory Coast this year and next, while inflation is projected to remain moderate. But while more jobs have been created in recent years, unemployment remains an issue among women and youth. Ouattara's government has been criticized for not spreading these dividends of economic recovery beyond Abidjan to all parts of the country and society. In order to extend this economic growth to rural areas and city suburbs, experts said the president-elect should strengthen the role of local government in launching projects that develop infrastructure and increase public access to modern services. The president of Ivory Coast is elected by an absolute majority through a two-round system to serve a five-year term. The date of the first round of voting has been set for Sunday, and a second round will be scheduled should it be necessary. Only the two candidates with the largest number of votes in the first round proceed to the second round. "The only question in my mind is whether this [election] is done in the first round or requires two rounds. But the result is pretty obvious," said J. Peter Pham, director of the Africa Center at the Atlantic Council, a think tank in Washington, D.C., who predicted a victory for Ouattara. Ouattara's significant political advantage against a divided opposition suggest the election results won't be disputed if the incumbent wins. Analysts and Ivorian citizens also widely believe the nation's recent economic growth will help defuse any election hostility between candidates and their supporters, the Washington Post reported. Still, the African Union, a 54-member continental bloc, has deployed 40 short-term election observers to Ivory Coast for the upcoming presidential vote. "The atrocities of the 2010-2011 post-election crisis, in which more than 3,000 civilians died and 150 women were raped, are unlikely to be repeated," Wormington, the Human Rights Watch researcher, wrote. Since Sunday's vote is not expected to be a tightly contested race, Ivorians can expect preliminary results to trickle in after a few days. Ivory Coast's independent electoral commission announced provisional results of the first round of the 2010 presidential elections four days after the vote took place. 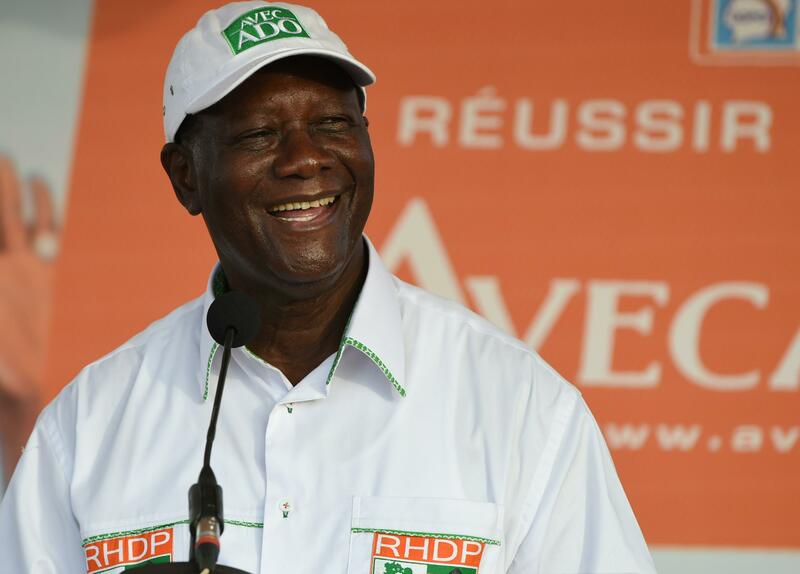 Even though Ouattara is so widely favored to win, the opposition or their supporters may still refuse the result, which could lead to civil unrest or violence. "The real danger of violence is from not so much that the election will be stolen," Pham said during a telephone interview. "It's the possibility of people who don't have a hope of winning going to extreme measures to grab what they want, or at least try to stir up trouble."